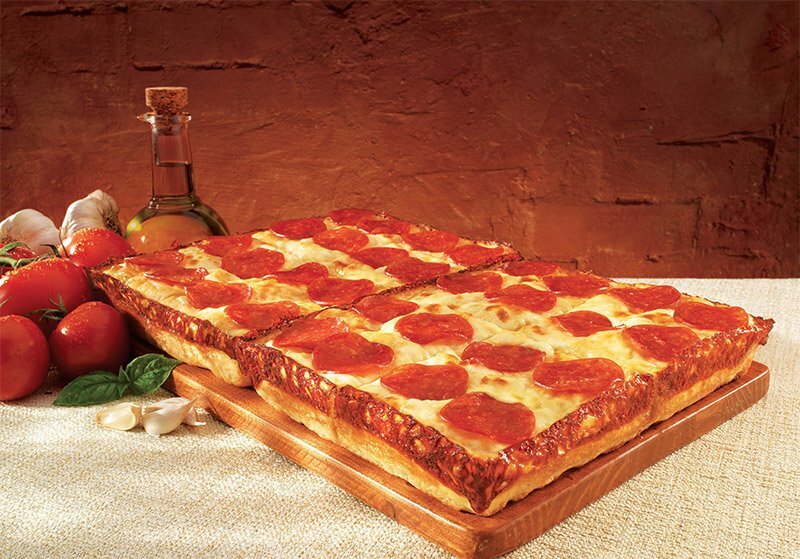 Despite its April 1st announcement date, Little Caesars’ crazy pizza is real. Basically, it’s a double-decker deep dish pizza with a crisp bottom crust, and a chewy crust inside. It’s like eating two pizzas at once.